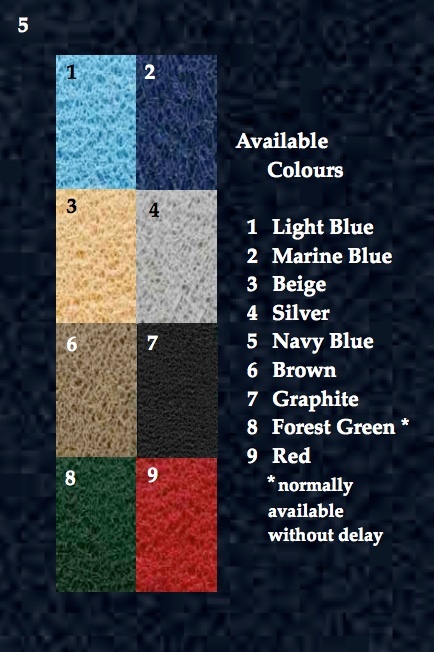 These mats are: Breathable; Lightweight; Durable; Non-Slip; Vibrant; Mould Resistant... They feature a special non-slip bottom surface and unlike some of the clones you may have come across, cannot be mistaken for double-sided! This mat is thicker than the clones and therefore more stable when you take your stance!. It means that they are also more durable. The phrase "you get what you pay for!" was never more true than when you compare our new delivery mats against the competition! Check for colour availability! See the chart in Resources for further information and colour options. Current available colours are: Forest Green (Stock), Marine Blue (Limited Stock). Other colour availability provided upon request.